Blog On is currently open for registration: the first module begins on Monday 28th May. Registration closes at the end of this Thursday (24th May), so if you’re interested, do check it out as soon as you can! 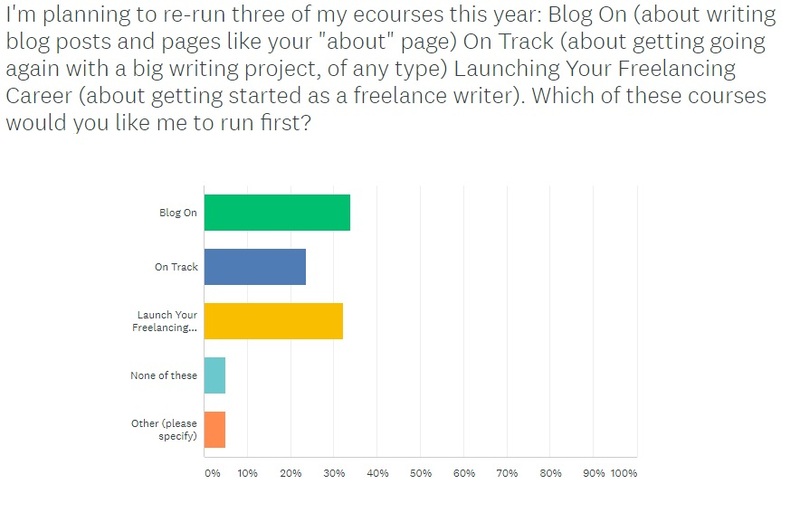 One of the reasons I closed Writers’ Huddle at the end of April was so that I could run more online courses – and Blog On has been the most frequently requested one. 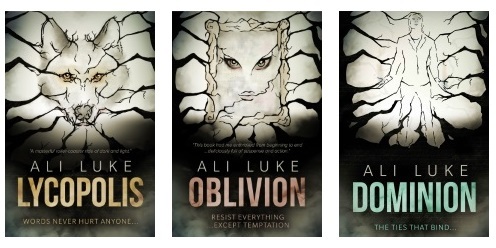 I first ran Blog On way back in 2011 (which feels like a lifetime ago now I have a five year old and a three year old…) and I’ve run it several time since, updating it each time. For 2018, though, I wanted to overhaul the whole course completely. Last time we ran through Blog On, I had some great feedback from members who were enjoying the course but who felt that their blogs didn’t quite “fit” with the materials and assignments. 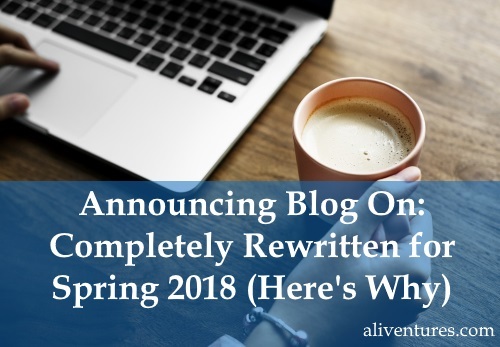 They were blogging as a hobby, for writing practice, or to grow a platform for their fiction … and I’d originally designed Blog On with money-making bloggers in mind. This time round, I’ve recreated Blog On from the ground up – ditching some modules completely and rewriting others pretty much from scratch. I’ve aimed to keep all the things that Blog On members have enjoyed over the years, with step by step guidance on how to craft posts and pages for your blog … but I’ve also broadened out the remit of the course so that all bloggers can enjoy it. While I might well raise the price for future iterations of the course, I’ve also kept the current price to just $39.99 (less than $5/week). Whatever sort of blogging you do (or hope to do! ), Blog On could be just what you need to get moving again. 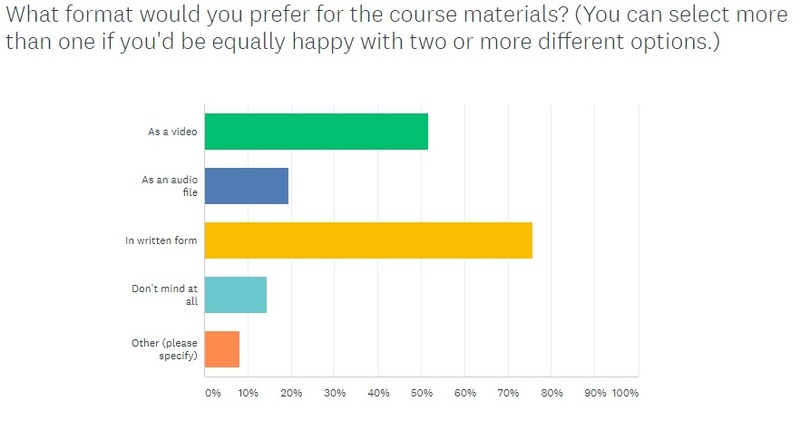 It wasn’t much surprise to learn that written materials were the most popular (this is what I’ve seen from past surveys, and it’s probably to be expected from an audience of writers)! In fact, I’d been considering shifting Blog On to a platform like Teachable or Udemy – because I’d (erroneously!) 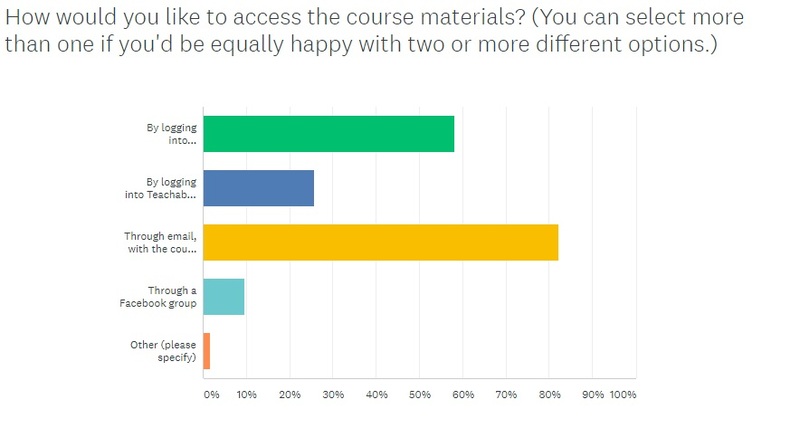 assumed that potential students might prefer to use a big teaching site to access the materials. In previous years, Blog On has been delivered online through my own website: members have logged in and read the modules as a series of web pages. This time round, I’ve turned the modules into .pdf files – easy to access on any device, and easy to save for future reference. If you offer a course, service, book, blog or a newsletter to an audience … have you checked in with them recently about how they’d like to receive it? Like me, you might be surprised! What Does the Shiny New Blog On Course Include? 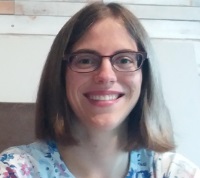 Module #1: What’s Your Blog All About … and Who’s Reading? Sounds like it might be your sort of thing? … or click the button below to join straight away ($39.99 one-off payment for the full eight-week course; the materials are yours to keep for life). Remember, Blog On closes for registration at the end of Thursday 24th May … so make sure you join before then. The sooner you sign up, the sooner you can get started with your Welcome pack, too!